Croxteth L11 Upholstered & Leather Sofa Steam, Dry Cleaning | Quality Property Care Ltd. The reliable professional upholstery cleaning company will make your furniture look new. Your upholstered furniture and sofa are the places where you, your pets, friends, family and guests probably spend most of the time when you are at home. This means that all the dead skin cells, hairs, crumbs, spills, dust and dirt go right on top and into the upholstery. To remove all disgusting and harmful stuff from your furniture, call Quality Property Care Ltd. which offers professional upholstery and sofa cleaning services in Croxteth L11 and the area. The professional upholstery or sofa cleaning company provides the top sofa cleaning prices for domestic and commercial upholstery cleaning. To receive a totally free quote within two hours, simply fill out the online form or call our customer care service now! Dear customers, please note that if add another service to professional upholstery and sofa cleaning, you will get a special discount. Quality Property Care Ltd. company can offer you the hassle-free and top-notched offer of Mattress Cleaning + Bed Bug Mattress Treatment. It destroys and removes dust mites, fungal spores, bacteria and other harmful debris. The service involves application of intensity ultra-violet light and all debris and dust are gone. This is extremely important for the protection against dust allergies, asthma, runny nose, depression (not 100% scientific evidence), headaches, eczema, itchy red eyes. Keep in mind that mattress cleaning is uses no moisture and besides the mattresses we clean the pillows, too. Mattress Cleaning + Bed Bug Mattress Treatment is suitable for hospitals, hotels, hostels and everything that has beds. As a natural material leather require a bit more focus when it comes to cleaning maintenance, simply because if done improperly there is a chance of shrinkage and even more severe damage. This is why all professionals who work with leather have gone through a special training course which familiarises them with the processes of cleaning leather, from a wide range of stains. Our cleaners are able to identify the kind of leather, in case you cannot, and the stain that has occurred. There are several ways to remove stains and accumulated dirt from a leather sofa. One way is to use a moisturising agent which opens up the pores in order to get deep into the deposits of filth and grime. Once applied the moisturising agent will soak into the leather and does not need to be eliminated. It softens the leather, making it a lot more malleable and easier to clean. A special detergent is used on the affected spots so it can draw out all of the unwanted particles inside the pores of the leather. 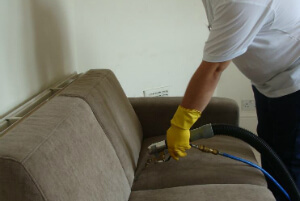 The professional upholstery and sofa cleaning company Quality Property Care Ltd. has been offering its top quality, trustworthy services since (2006) and is a preferred cleaning service both for the residential and domestic upholstery cleaning needs of the residents of Croxteth L11. The stain removal and deep cleaning provided is done by dry or wet cleaning, depending on the type of material and stain being cleaned. Apart from the upholstery cleaning, the cleaners can do blinds cleaning, curtain cleaning, drapery cleaning, mattress cleaning and bed beg mattress treatment as well. All cleaners are trained and competent to deal with any kind of stains and materials safely for your furniture and for you.